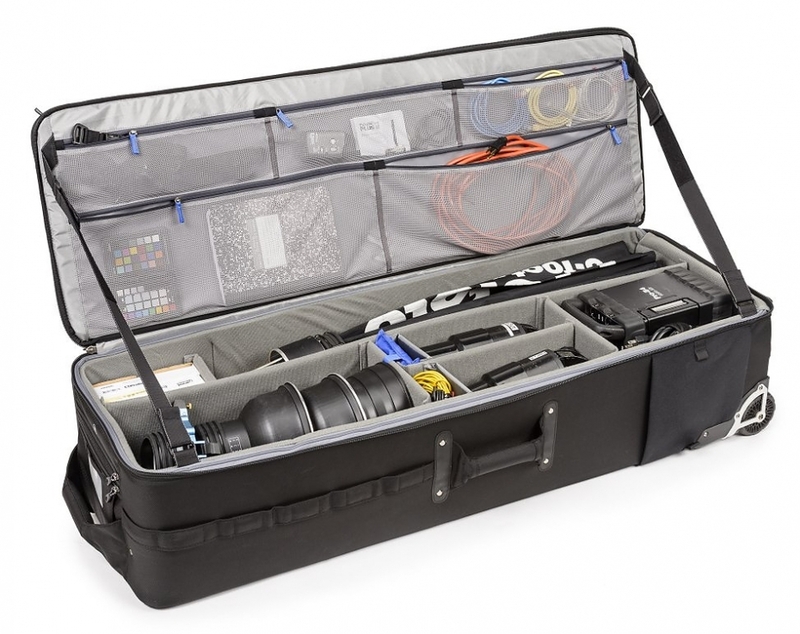 As their largest case to date, this professional strength, high-capacity rolling case is designed for lighting gear. The Production Manager 50 is the most efficient way to safely transport a large amount of equipment. Professionals will appreciate the robust design of this large roller with room for C-stands, multiple flash heads, power packs, monoblocks, softboxes, and light-stands. Expanding on the success of the Retrospective line, the new Retrospective 5, Retrospective 7 and Retrospective 30 Leather Series maintain the casual, form fitting design while adding premium leather accents for an upscale, rugged option. The addition of the Dual Cross buckle on the front flap provides an extra measure of security, while a dedicated zippered pocket holds a tablet or laptop. While not a new product…I’m steadfast at keeping my gear highly organized. So I just ordered a set of these. To the original owner, we guarantee and warrant our products against any defects in material or workmanship for as for long as you use the product. If you have any problems with the product, please contact us for return authorization at warranty@thinktankphoto.com before sending the product to us. We will evaluate the product. We will repair or replace the product (at our option) if the damage is covered by the warranty. If your product was purchased outside of the United States, please contact the authorized Think Tank Photo distributor for your country. Damage due to normal wear and tear, the natural breakdown of materials over time, accident, improper care, or negligence is not covered by our warranty. If a repair is possible, we will repair products at a reasonable charge to you when the damage is not covered by our warranty. “Normal wear and tear” includes the damage to zippers and fasteners that is expected due to normal use over time, the damage to the product has to be the result of a defect for it to be covered by the warranty.